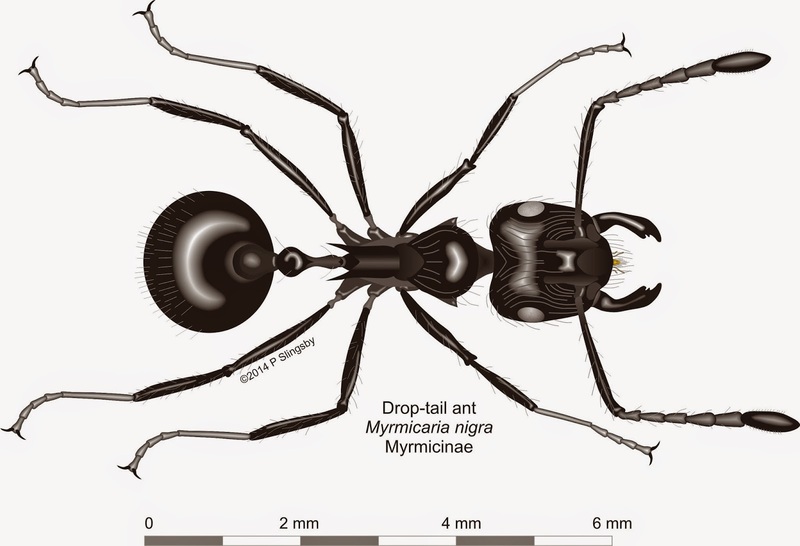 There is only one species in the Western Cape, Myrmicaria nigra (5 – 5.5 mm) and only two or three of the other species are at all common elsewhere. With their characteristic drooping abdomens they cannot be easily mistaken for any other ants. 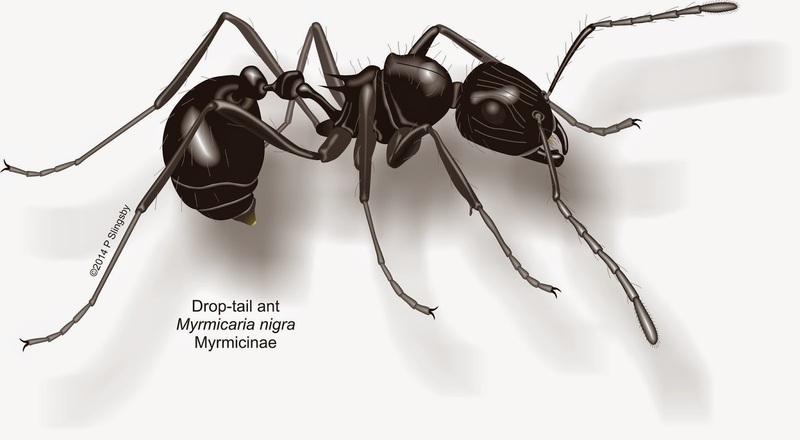 Although Myrmicaria nigra appear to be shiny black they are actually quite hairy, and your mini-microscope will reveal that their antennae consist of the scape (the long bit) and only six smaller segments. Droptail ants move around randomly seeking vegetable detritus and dead insects as food, and form loose trails once a food source has been discovered. They are fairly slow, bumbling ants that nest in the ground, but there is often a small mound of discarded vegetable matter around their nest entrance. They occur in fynbos, strandveld, in the karoo, and the colonies can number several hundred individuals.